The next Parent Council Meeting will be held on Monday 6 October at John Muir Campus at 7:00pm – All welcome! Please note change to PC meeting dates for 2014-2015 – see meeting dates page for full list. The Parent Council AGM has been moved to Wednesday 10th September due to ‘Meet the Teacher’. Please see Dunbar Primary School Website for additional information regarding this extra in-service day. Click on link below for revised 2014-2015 dates. A massive thanks to all the parents, pupils and school staff for their help at the school fair and for all the donations of toys, dvds, books, bikes and baking etc. Well done to Marie Savage, Emma Hexley and Laura Bullen for organising a fantastic school fair. Funds raised will be posted as soon as possible. Many thanks to all the parents who have volunteered to help at the School Fair, taking place on Saturday 31st May from 2pm – 4pm. Alternatively you can email dunbarschoolfair@gmail.com and we will get back to you. Remember donations eg books and toys can be left at John Muir campus, we are particularly looking for home baking eg scones or tray bakes which can be handed in on the day. All proceeds go to the school with funds this year buying resources for teachers to use so that they can create an outdoor classroom for the children. This includes things like weather proof cushions to sit on, an outdoor white board and educational activities that can be taken outdoors. Thanks for all your help, the fair wouldn’t happen without you! Thanks to all the parent volunteers, teachers and pupils for their hard work in creating the tapestry for the John Muir Festival . It was a great hit when displayed at Our Lady of the Waves church hall during the opening of the John Muir Way. The tapestry will be displayed again at the school fair on 31st May 2014 for another opportunity to see this great collaborative project. The DPS Parent Council would like to invite your child to take part in Mathletes 2014. This week of maths activity is an addition to Together We Count and aims to get those maths brains fit and agile. All your child needs to do is complete the maths activities each night for a week. Mathletes will run from Monday 12th May – Monday 19th May. From Monday to Thursday, each night pupils will complete a maths activity (there’s a different one for each night) and once finished they colour in a lap of the running track on the sheet provided. Over the weekend the pupils then choose another activity to do; this might be adding up the weekly shop, baking, playing a game etc. Each day, pupils bring in their running track and talk about the activity and at the end of the week receive their certificate and reward. The teachers have devised the different activities for each different age group and full details of the activities will be provided. There’s no sponsorship involved and, other than reading, the pupils will have no other homework during their maths workout. So, on your marks, get set, count…….! 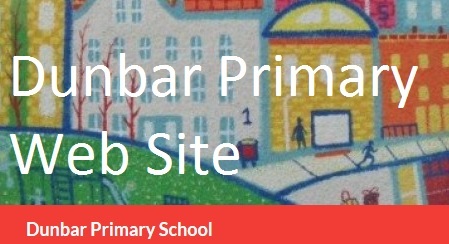 Dunbar Primary Parent Council’s Lottery Terms and Conditions – information for you…. Winners will be announced soon!